I recently spoke with a woman who has been unemployed for two years. She is a single mom with a teenaged daughter. They may lose their home and don't, to my knowledge, have a backup plan. It hurts my heart, more than I can properly express here. Not only because I so badly want for people to succeed in this world, but also because I was a single mom for nearly five years. And I get how hard and scary that can be. No, is. But as I spoke with this woman, something quickly became clear. She wastes so so much time. And it's prolonging her search, profoundly. She devotes hundreds of hours every month to techniques that, in my opinion, will get her nowhere. And have gotten her nowhere. Well, they've gotten her more scared, more broke and more frustrated. But have not landed her an interview, nor a job. Job seekers, I appeal to you. Stop using search methods that prolong your search. If you are spending any, or lots, of time doing these things? It's time to retool. You know the definition of crazy, I know you do. applying blindly for jobs that require a specific degree, certification or accreditation if you don't have that certain degree, certification or accreditation. Certainly, there are exceptions in life. But you are not going to be one if you just dump your resume into a pileup of online applicants. You won't. Not ever. spending 6, 8, 10 hours a day surfing the job boardsand applying for only those positions that are blatantly advertised on Monster, CareerBuilder, Indeed. Please understand this: The vast majority of other job seekers are using this exact same method. So you are all chasing after a relative few number of positions. Not good. applying blindly for jobs that you know your resume does not speak to. YES, you can make sweeping career changes. But if you're looking at a position that is, on paper, non-obvious compared to your skill set? You will need to hunt down direct contacts within the companies you want to work for, and explain clearly how and why you'd be excellent in that position. writing letter after letter to Congress to help you. Congress won't save you. Heck, your closest friends probably aren't in the position to salvage things for you, why on earth do you think Congress is going to? This is your life, friend. You're in charge of making things right for you. relying on a recruiter to find something for you.I've said it before and I'll say it again: Recruiters are not your agents. They work for the corporations that hire them to fill specific positions. If you are a dead-on match for something a recruiter has open, this is good news for you and the recruiter. If you are not? Most often, the recruiter is not going to be out pounding down doors to find a great new job for you. It's just not how the business works. And it's important that you know this. starting each day without a game plan. If you just plop in front of your computer everyday without a game plan? Don't expect quick results. Certainly, you'll probably learn a thing or two on TMZ.com, have some delightful Facebook banter, and drone out on Monster.com for a while. But you absolutely don't get to say, "I've been doing job search all day, phew!" come 5PM if you've spent 4 of those hours surfing aimlessly. Because you had no game plan. 2006 (passive) job search methods just don't work in 2011. The market has changed dramatically, and they simply do not work. And then stop relying on them. I'm putting the finishing touches on my first ebook, To Whom it May Concern: Or, How to Stop Sucking at Your Job Search. It will walk you through the process of calming the heck down, crafting a job search strategy that will actually work, learning how to use some of today's social media tools to your massive advantage, and the skipping your way to a sweet new job that makes you happy down to your toes. For now... if you have deduced that you are prolonging your search unecessarily using non-productive, passive methods? Stop now. Stop. Ed McMahon and the prize patrol are not around the block ready to hand you your new job. Unfortunately, they are not. So take a few deep breaths. Limber up. 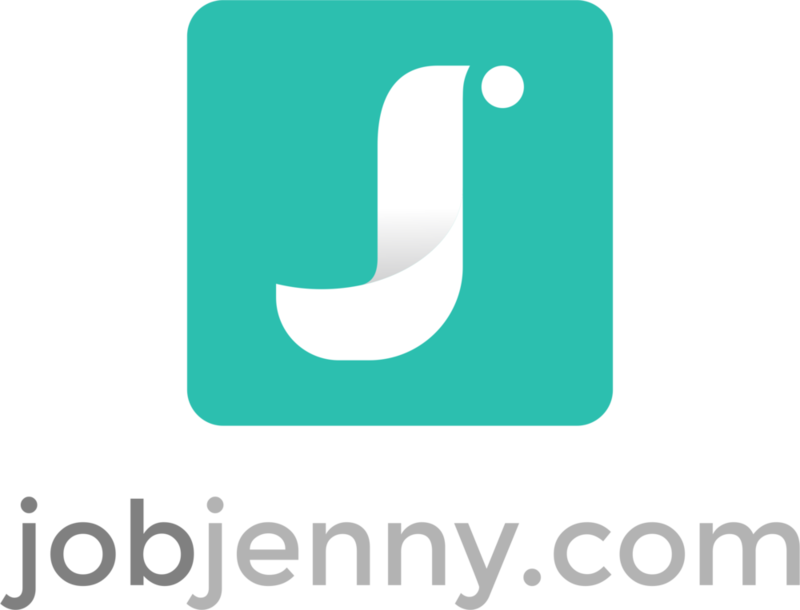 Peruse the JobJenny.com archives and grab some ideas. Start googling terms like "Linkedin for job search," "personal websites for jobsearch," "proactive job search methods" and grab some more. Because now is the time. To arm yourself with some new tools and then get out there find IT.